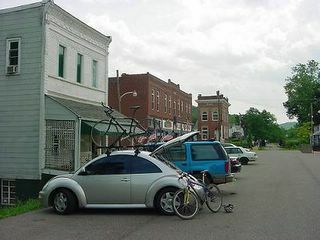 BUG & BIKES IN CAIRO, WEST VIRGINIA. I want to make this journey again. Cairo, West Virginia is a main stop along a wonderful 80-mile rail trail (with no less than 12 tunnels) between Parkersburg and Clarksburg.